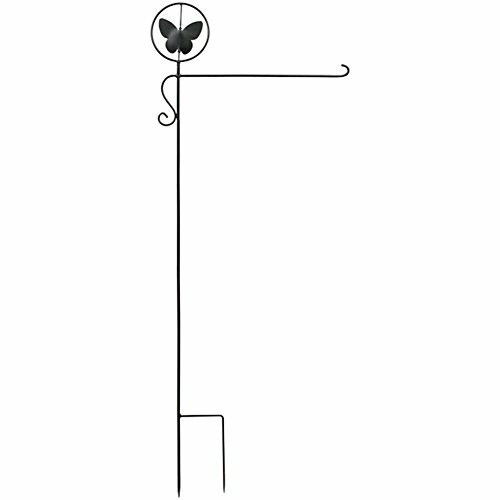 Carson Butterfly Spinner Garden Flag Stakes are made of high quality powder coated metal, for durable use outdoors under different weather conditions. Easy to install, just position it in place and insert into ground. Measures 44.5".